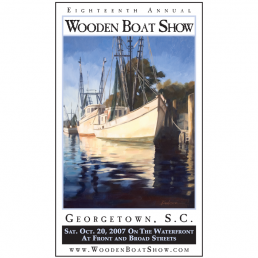 Cathy Lumpkin has advice to give about painting: It’s never too late to start. 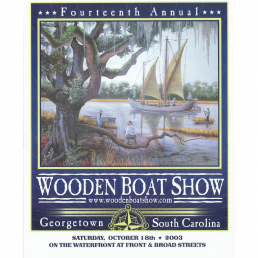 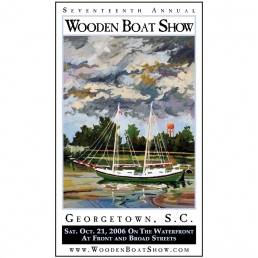 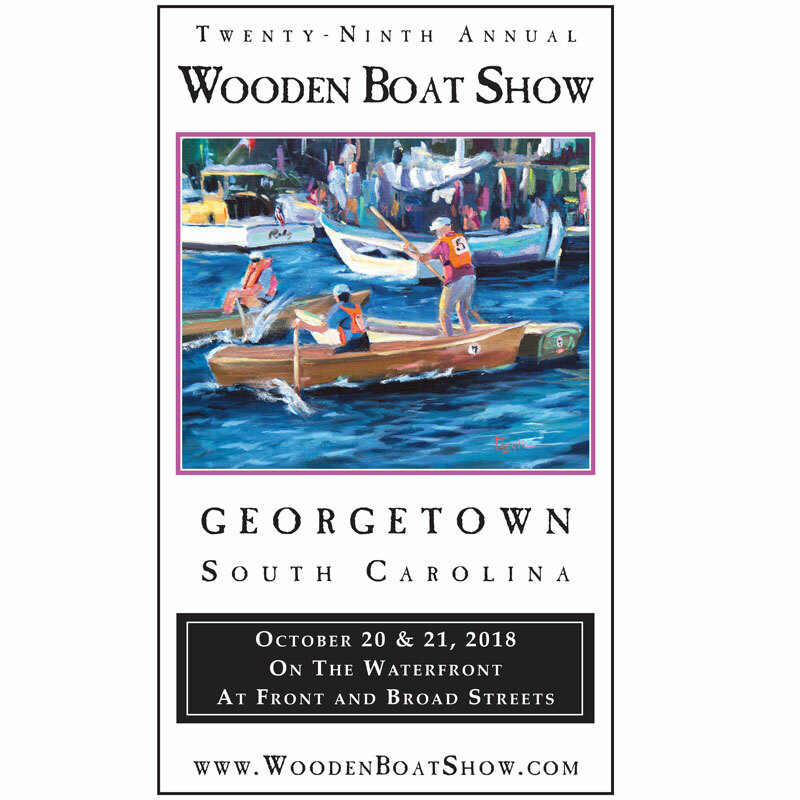 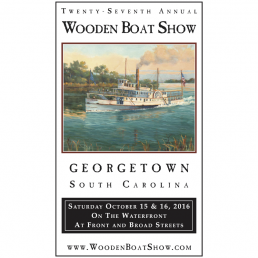 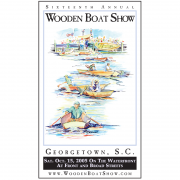 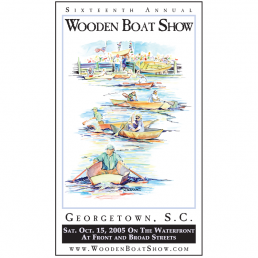 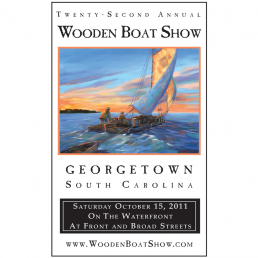 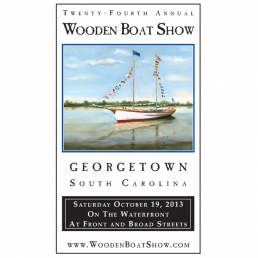 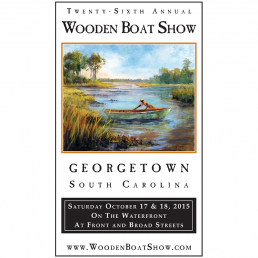 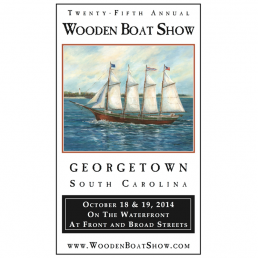 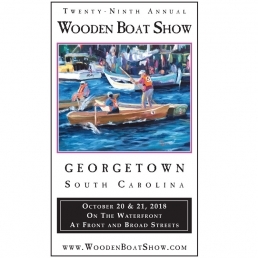 They’re sage words from a woman who began to paint her oil-on-canvas pieces at age 50, and whose art is now featured on the 2018 Georgetown Wooden Boat Show poster. 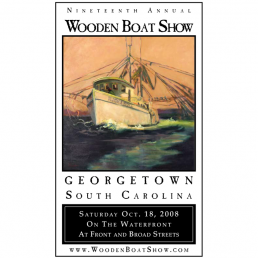 Her painting depicts a colorful and impressionistic recreation of a photo taken during the show’s popular (and often hilarious) boat race, when teams of two each receive identical materials and time spans to build wooden water crafts, and then race them on the Sampit River. 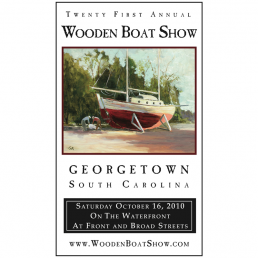 While at work for her job with Coastal Eye Group as an ophthalmologic nurse, Cathy heard her coworkers talking about the boat races. 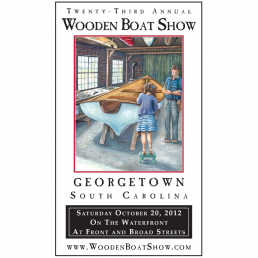 She had just learned she was receiving the honor of being a boat show poster artist, and was pondering what to paint.